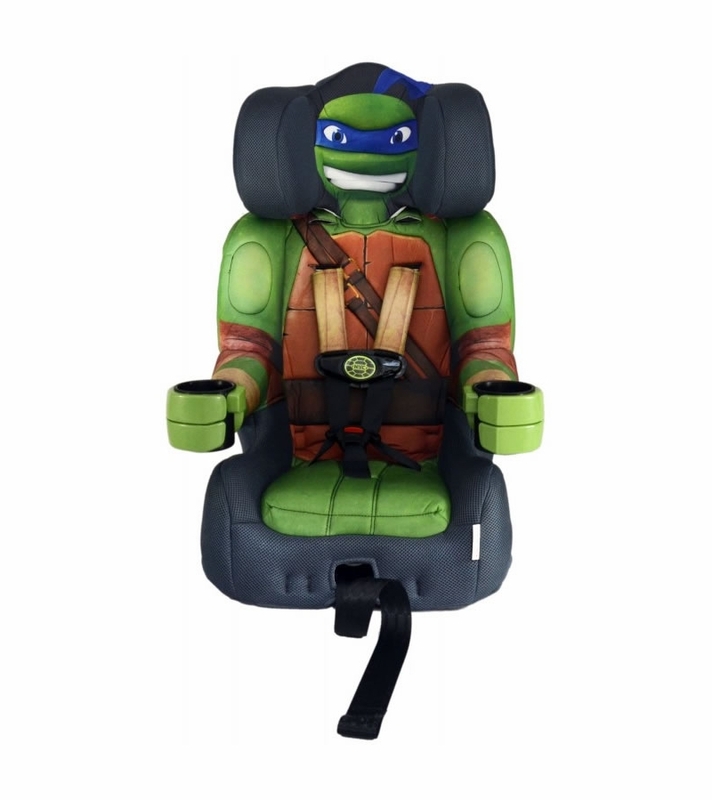 Ninja Turtle Harness Booster Car Seat is designed with extended-use five-point harness and larger seat. 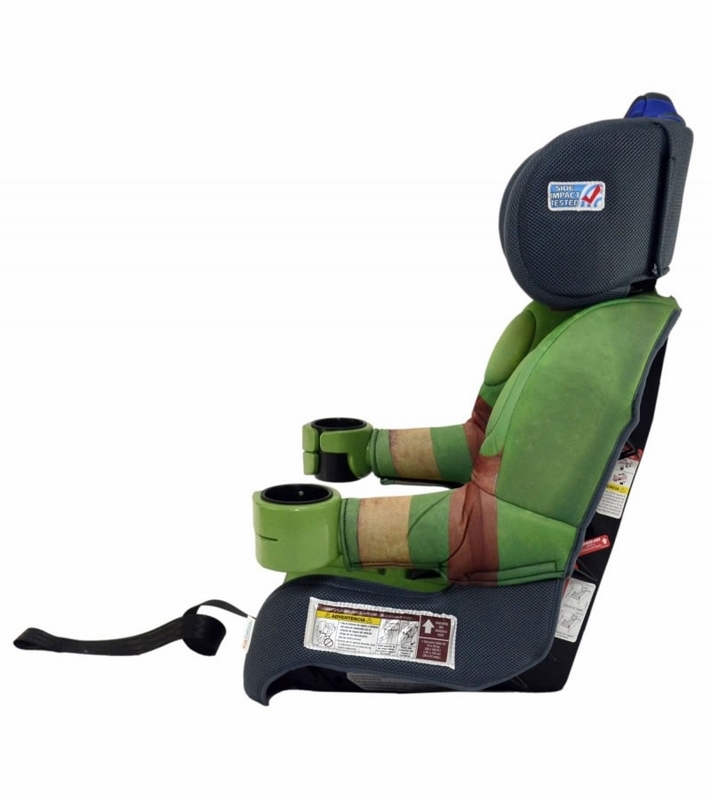 Accommodates kids 22 to 65 lbs- Booster seat fits 30 to 100 lbs. 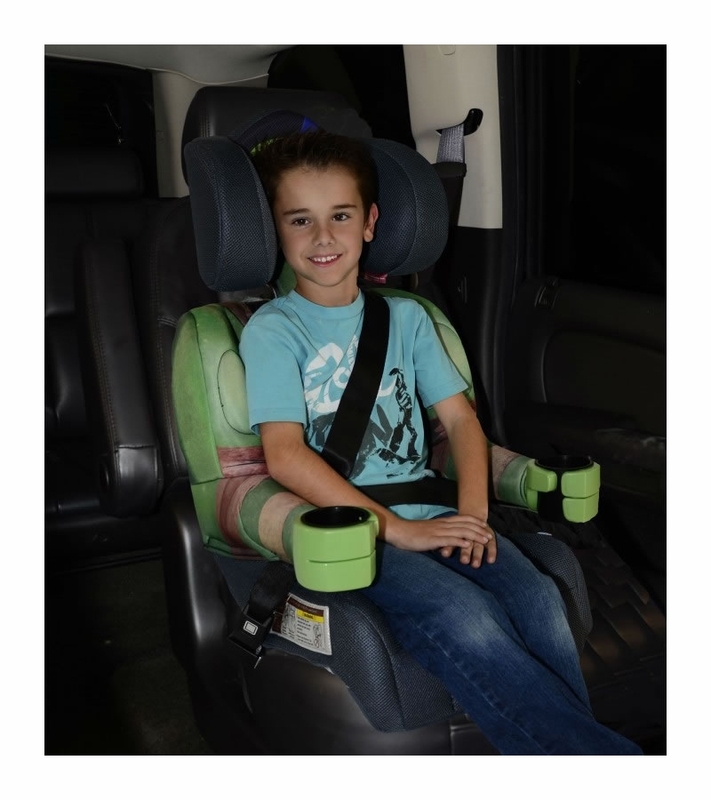 Easy-to-install LATCH connectors have a quick push-button attachment/release. 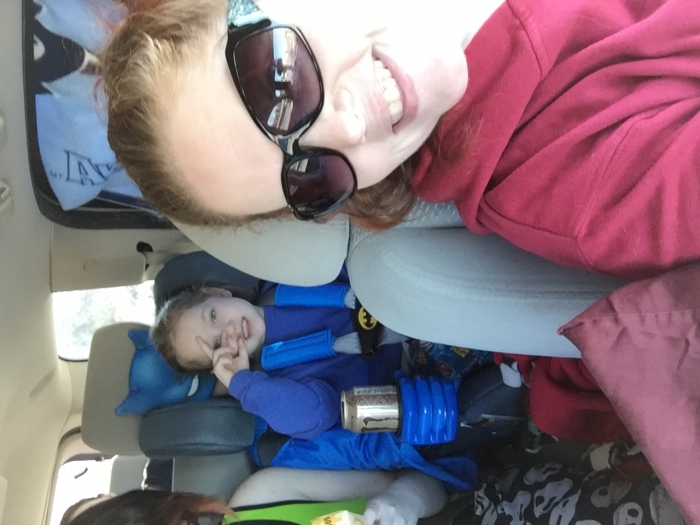 One-handed harness adjustment, just one pull for a snug and secure fit. 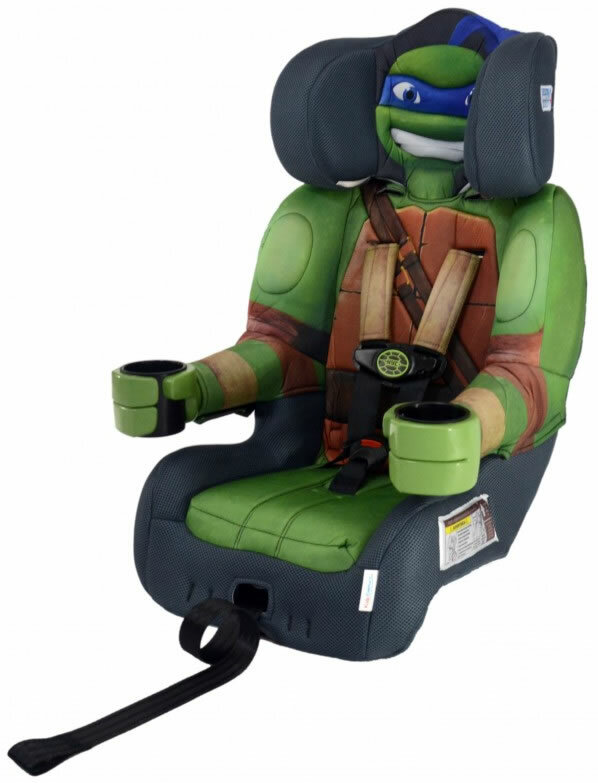 Also includes patented 2-position crotch strap lengthens to accommodate growing kids, built-in belt guides; contoured seat shell is shaped to support child's spine and legs in comfort, even on long car rides and deeper seat and deeper "wraparound" headrest provide superior side-impact protection. 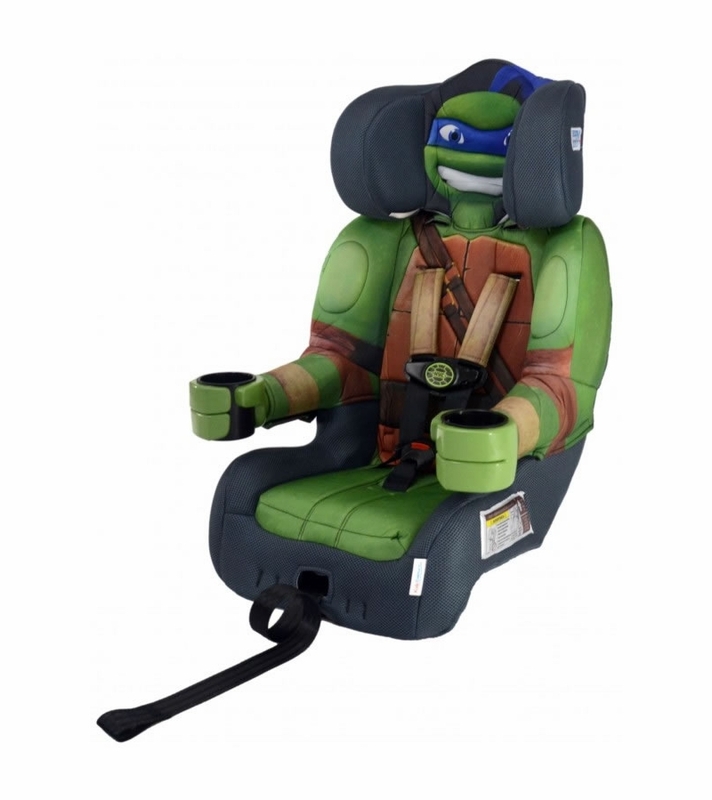 The Teenage Mutant Ninja Turtles Harness Booster seats are equipped with high-density EPS foam which absorbs energy in the event of a collision. 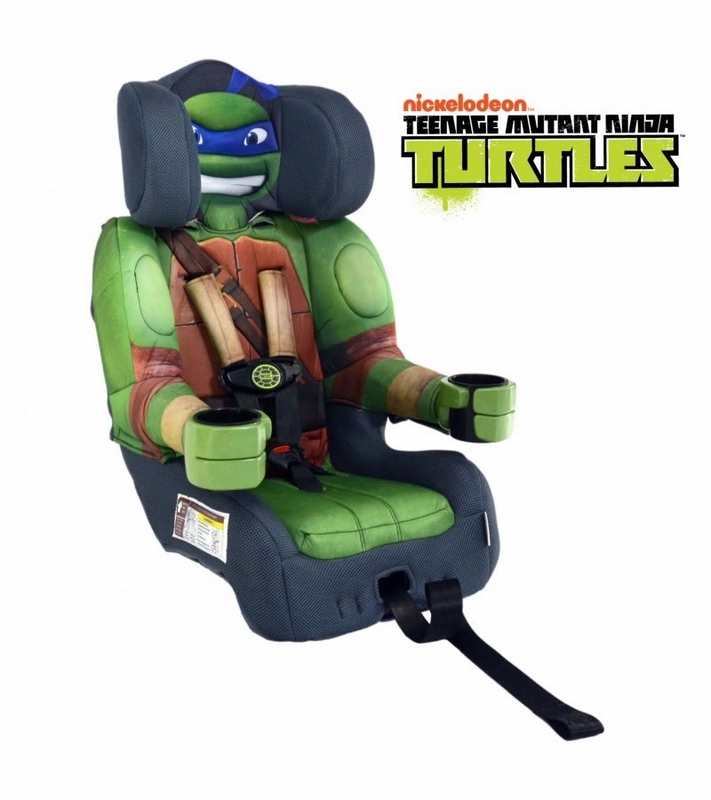 Seat cover can be easily removed and is machine washable; Headrest adjusts to three different positions to better fit your kids as they grow; Dual cup holders fit most Sippy cups; High-impact thermoplastic seat shell is engineered with ribbing and reinforcements for added extra strength and superior protection during a collision; Patent-pending high-position top tether system controls forward movement of the child's head during sudden stop or collision.